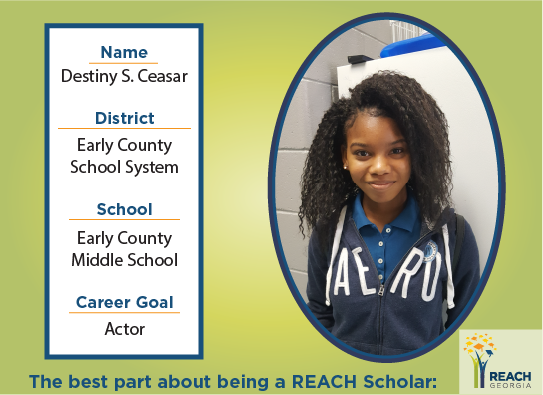 The best part about being a REACH scholar is being able to inspire others that they can become a REACH scholar too. And another is knowing that some of your expenses are being taken care of. I’ve benefited with even better grades, being more focused, and doing what I’m supposed to be doing. My mind is now on college, because I know that I have a scholarship to earn. My future outlook has changed since becoming a REACH scholar, because I always wanted to be a model and actress, but this scholarship has changed my plans. I now want to be a physical therapist because I know I’ll have help with my expenses.